As if buying or selling a home weren’t complicated enough, you also need to be vigilant about scams. There are scams everywhere, and some are sophisticated enough to look real. With so much information available on the Internet, it’s getting easier for scammers to con innocent people. Here’s what you need to be on the lookout for so that you don’t become a victim. In the down payment scam, a scammer hacks into a real estate agent’s email account. After reading through their correspondence, they target buyers who are about to close. Then, posing as the agent, they send you instructions on where to wire the money for your closing. Once you’ve wired the payment, it’s never seen again. The best way to avoid this scam is to either use encrypted email or get all wiring requests and instructions from your agent over the phone. Then confirm with the bank you are wiring to over the phone as well. If you’re looking for a fixer-upper, beware of the inspection scam. In this scenario, a seller agrees to a lower price on the condition that you forgo an inspection. If this happens to you, it can be a red flag. The seller may be aware of a serious problem with the property that they are trying to cover up. This could include expensive problems like issues with the foundation or pest infestations. Never agree to give away your right to a professional inspection. If the rate you’ve been approved for on your mortgage seems too good to be true, it probably is. In this particular scam, a shady lender agrees to a very low rate on your loan. Then, once it becomes too late to back out, they jack up the rate. While you have the right to cancel the deal, it could cause a serious loss of time. These lenders may also charge upfront fees in order to lock in the low rate, which is money you could lose if you cancel. Don’t agree to pay fees upfront and be cautious about rates that are much lower than other lenders have quoted to you. In this scam, an agent takes the money that is to be deposited into an escrow account, and deposits it into his own account instead. The easiest way to avoid this costly mistake is to work with a licensed agent and research any complaints that may have been lodged against them in the past. Finally, even if you’ve made it through the real estate process unscathed, you need to be aware of moving scams. 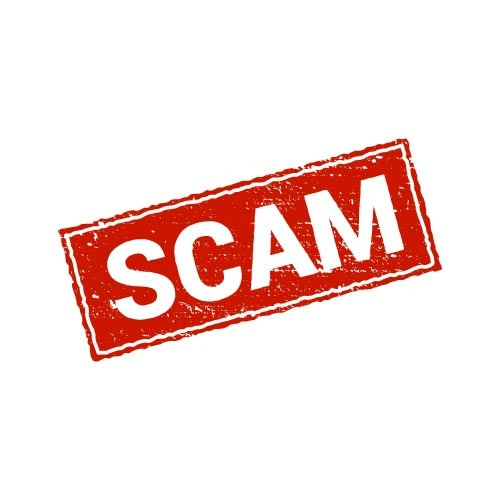 One scam that is common is when moving companies offer you a great price on a move, only to significantly increase that amount once the truck is packed. They may also hold your possessions hostage until you agree to pay them more money. And unfortunately, there are some scammers out there who will pack up your truck and drive away, never to be seen or heard from again. Always be sure to thoroughly vet a company before signing a contract.